See below AGM details and Agenda. As per approved procedures the AGM papers are being distributed electronically to reduce the excessive cost of printing and posting hard copies to members. 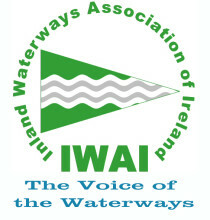 The associated AGM documentation will be available to view and download from the IWAI website at www.iwai.ie/agm2019/ from 19th April 2019. Please note that a member entitled to attend and vote is entitled to appoint a proxy using the proxy form included as part of the AGM documentation. Your proxy may attend the AGM to speak and vote instead of you and need not be a member. The proxy form must be completed and received by the Hon Secretary at the above address no later than 30th April 2019. Please remember to bring a copy of the AGM documentation with you as printed copies will not be available on the day. If you have any difficulty in viewing these please let me know. We look forward to seeing you at this year’s AGM which is kindly facilitated and co-hosted by IWAI Kildare.